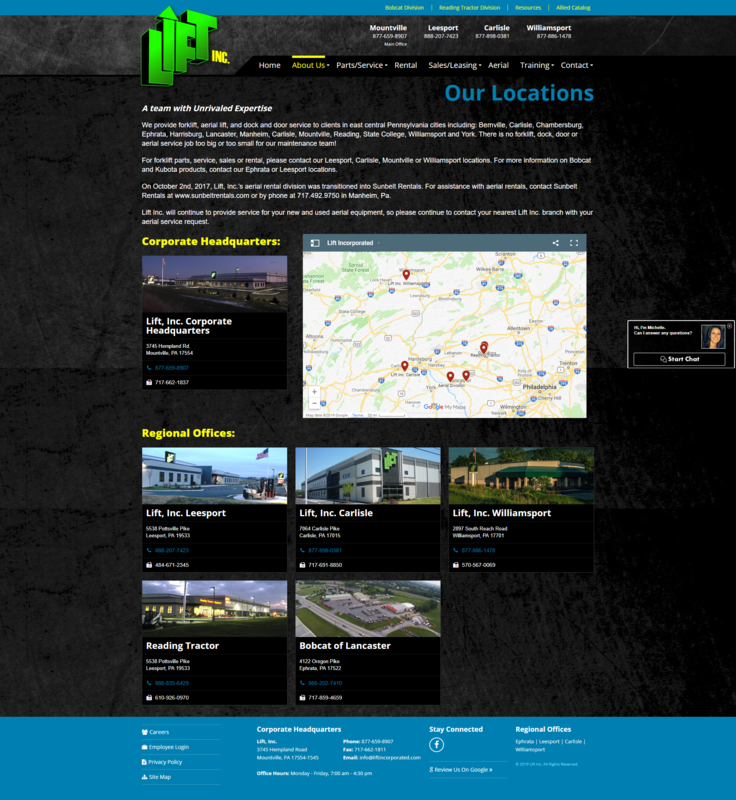 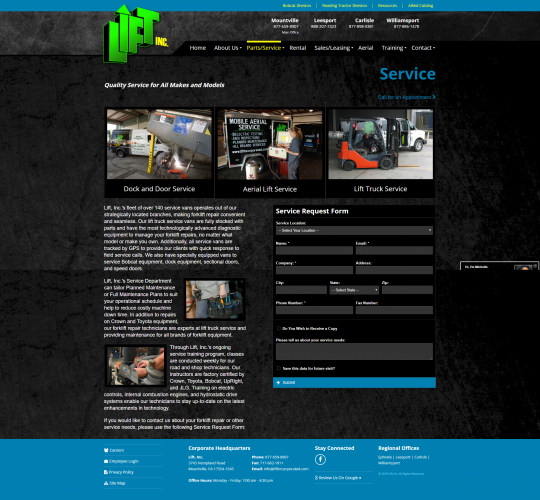 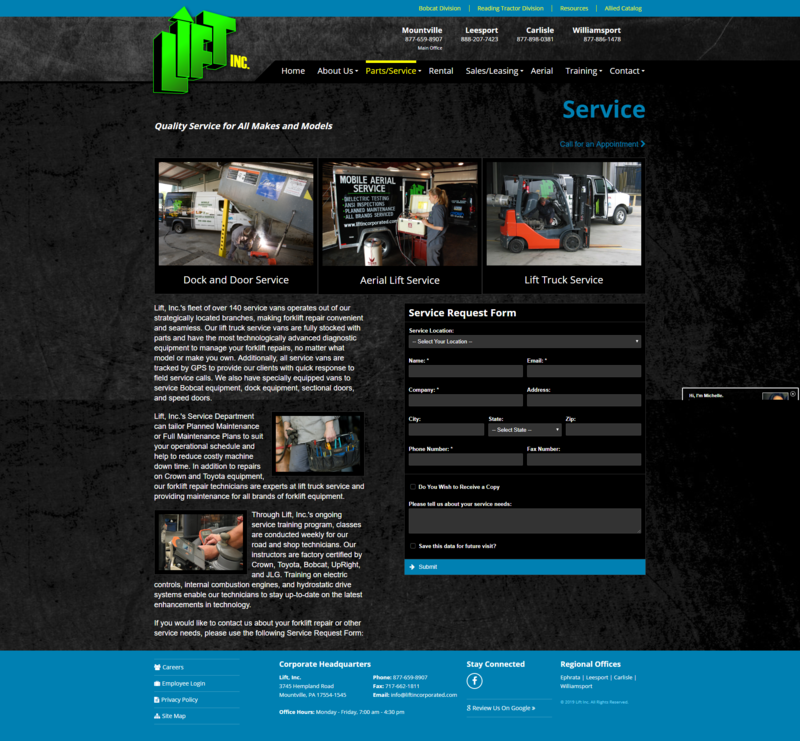 Lift Inc. | Portfolio | Sharp Innovations, Inc.
As the area's leading supplier of material handling equipment, parts and service, Lift, Inc. needed a site that would clearly display their major product lines, while communicating clear messages about their un-matched service, parts and training. They also needed the ability for clients to easily search their used product database, and a way for employees to securely access company documents. 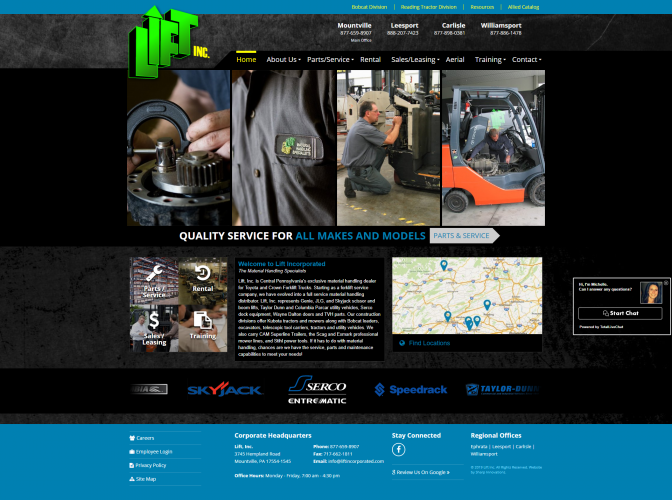 In addition to a whole new look, custom animation was developed for each of the main sections of the new site to help draw attention to Lift's broad, yet deep, product and service offerings. 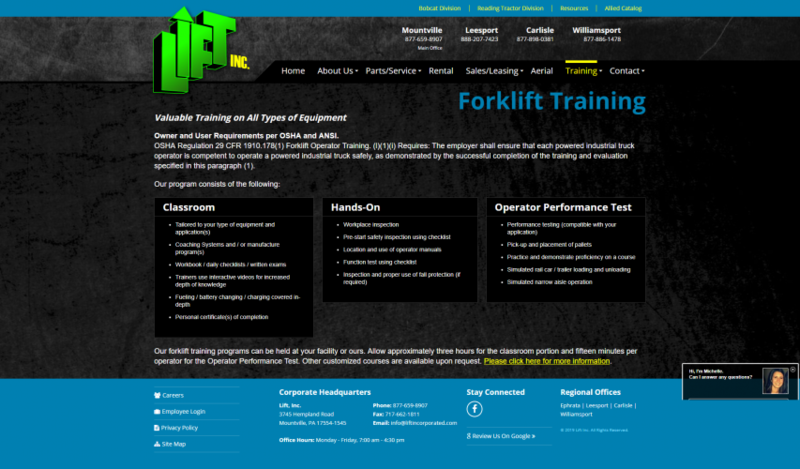 This helped ensure users were presented with instant visual cues to what Lift, Inc. could offer. 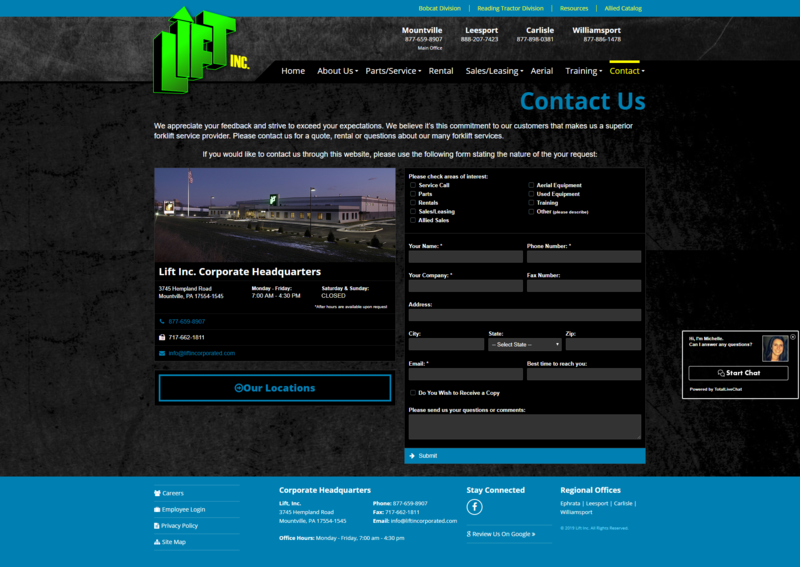 In addition, the used equipment section incorporated an easily searchable database while employees were given access to a readily accessible secure document section.